Basic Trauma Life Support (ITLS) Certified. Motor Sport Association (MSA) Licensed. National Health Service (NHS) Medical Practitioners. In addition to the qualities above each year we enhance our team’s skills via a professionally run in-house training scheme. 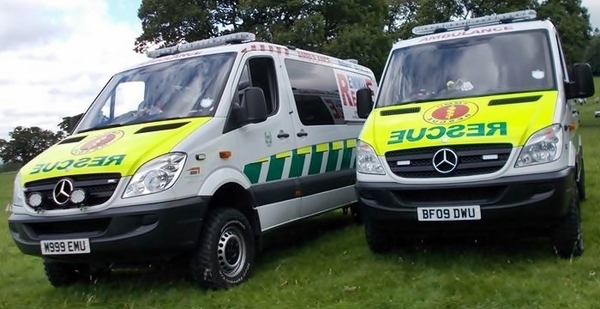 EMMU operate two Mercedes Sprinter ambulances. The Sprinter has four wheel drive, a large amount of space and a managed climate for better patient care. They conform to the latest thinking on how to enable extrication and provide critical care in harsh, hard to reach environments. When carrying extrication equipment the vehicles offer a full complement of new car technology rescue tools. The medical equipment that both ambulances carry is above the MSA required standard. 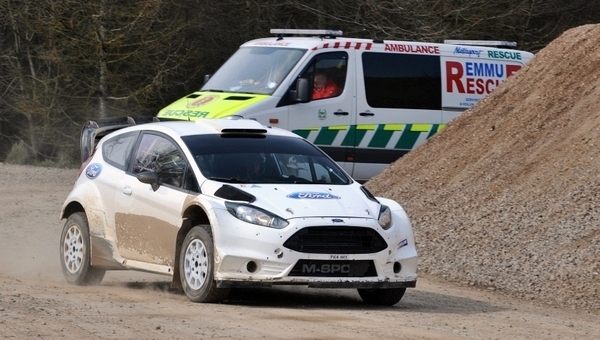 We provide rescue cover for a wide range of events and organisations including the M-Sport Ford World Rally Team.